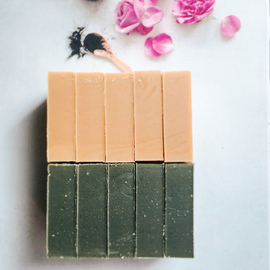 FACIAL CLEANSER with aloe vera & avocado (Vegan) - These bars are particularly gentle for facial cleansing. Activated Charcoal & Brazilian Clay for oily & combination skin. Rose & Ivory Kaolin Clay for dry, sensitive & mature skin.